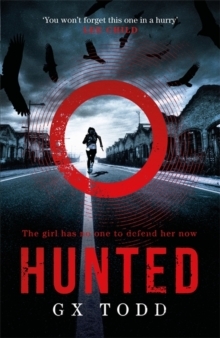 An imaginative thriller that draws on influences from Stephen King, Clive Barker and Neil Gaiman to create a new world where the voice in your head might be all that stands between survival and death. 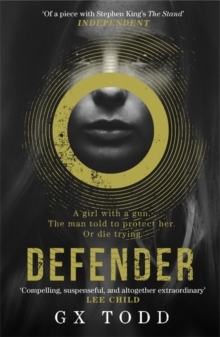 If you loved Bird Box on Netflix, you'll love Defender, the first in a four-part series. 'Compelling, suspenseful and altogether extraordinary' Lee Child 'On the cusp of sleep, have we not all heard a voice call out our name? 'In a world where long drinks are in short supply, it's dangerous to listen to your inner voice. Those who do, keep it quiet. But one man listens to the voice in his head telling him to buy a lemonade from the girl sitting on a dusty road. There is a reason why Pilgrim and Lacey must cross paths. They just don't know it yet . . . #HearTheVoices'So accomplished that it's difficult to believe it's a first novel, Defender is already worthy to take its place alongside The Stand in the canon. G X Todd has delivered a genius debut that grips you from start to finish''This was great!